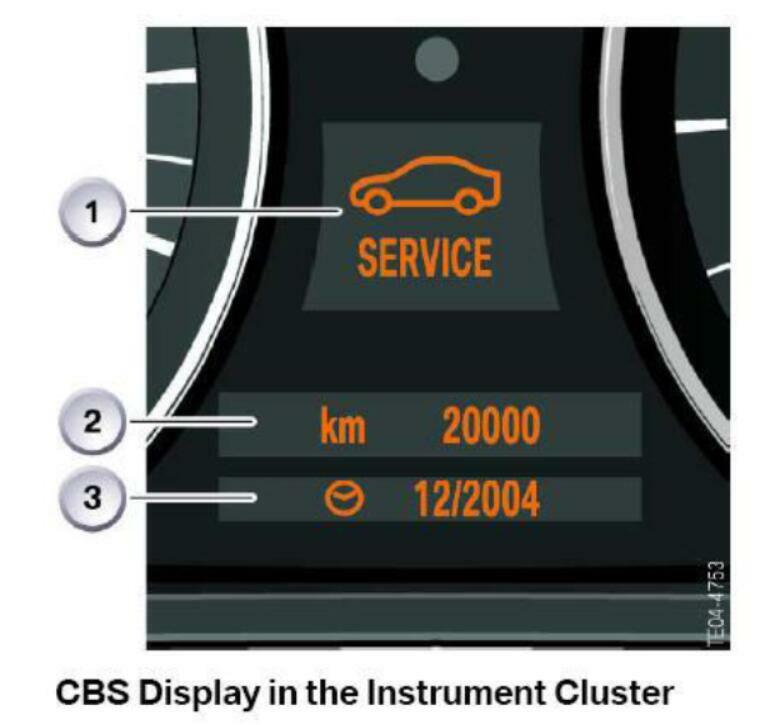 This article show a guide on how to reset BMW CBS via instrument cluster E90 E91 E92 E60 E61 E63 E64. Before starting, the clock must be displayed on the instrument cluster before you hold down the set /reset button. 1.Turn ignition to Terminal 15. 2.Press and hold the Instrument Cluster Set/Reset button for 10 seconds. 3.The upper display in the Instrument Cluster will be illuminated with a Service Item (example: An oil can is the designation for Oil Service). The lower display in the Instrument Cluster will indicate the remaining time or mileage left for that Service Item. Pressing the button repeatedly will allow the display to scroll through all of the Condition Based Service Items. 4.Press and hold the Instrument Cluster Set/Reset button again and the lower display screen will indicate “OK” or “DUE”. 5.Pressing the Instrument Cluster Set/Reset button again will allow the “RESET” to appear in the lower window for that service. Releasing and reapplying the button one more time will reset the service displayed in the upper window only. Repeat the procedure for any additional service reset needs. Note: The CBS service items for both State Vehicle Safety Inspection and State Emissions Inspection cannot be viewed in the Instrument Cluster. These inspections can be viewed via the CBS menu in the control display or by using a BMW factory level scan tool. Information on remaining distance and/or duedate in the lower display. All information on the individual service operations can be displayed in the CID. To access the CBS date press the controller, the “Settings” menu will appear. Turn the controller until “Service” is highlighted, then press to activate the CBS menu. Display field for service operation. BMW Connected Drive – BMW Tele Service and Condition Based Service. BMW Tele Service transmits all the important information for a service appointment from your BMW to your BMW service partner. This makes servicing your BMW even faster, easier and more economical. How to Register and Use BMW ConnectedDrive? 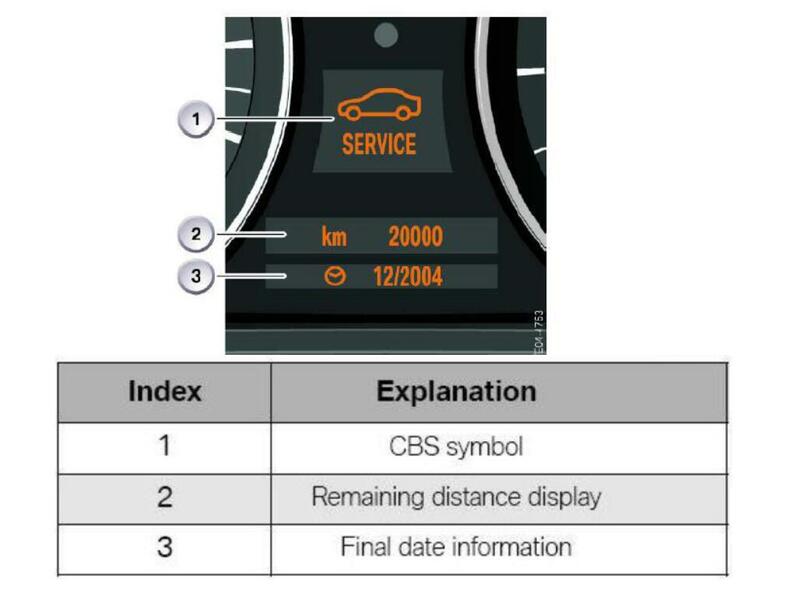 Condition Based Service (CBS) is an intelligent system that independently detects the service needs of your vehicle. Fixed service intervals now belong to the past because CBS analyses the actual service requirement and keeps you informed. 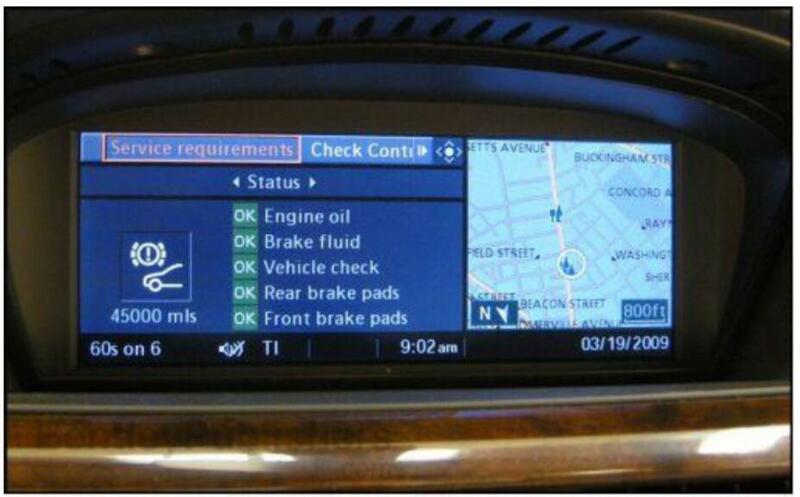 When required, the data are sent from your BMW either automatically or at the touch of a button to BMW service. Your service partner will then contact you to arrange an appointment. Exchanging data via BMW Tele Service enables the actual service requirement to be ascertained before the appointment, allowing the workshop to order any spare parts required.